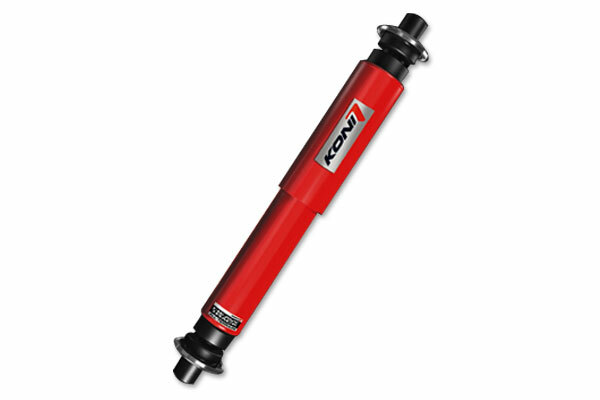 According to my mother, the following 19 new product blurbs are on par with the comedic stylings of Mr. Red Skelton. Also, I’m not eating enough. And, I owe her some grandchildren already. 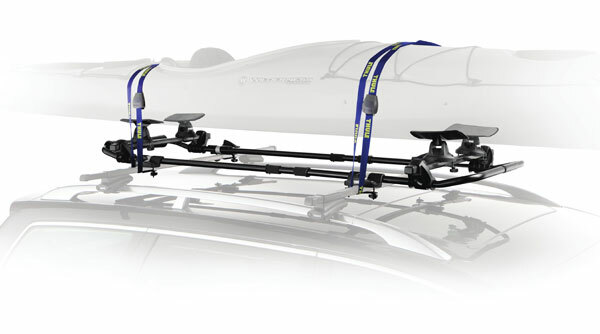 Thule Slipstream Kayak Rack—Seven out of eight members of Slipknot agree on these two points: 1) this Thule kayak rack makes single-handed kayak loading a cinch, and 2) M.A.C’s Haute & Naughty mascara won’t run when you’re in a tour bus toilet weeping about being in Slipknot. 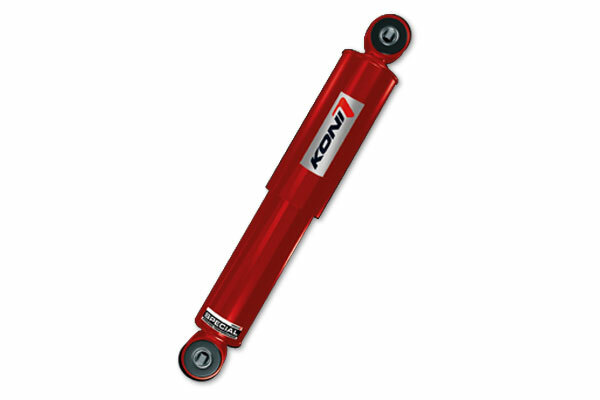 KONI Special D Red Shocks—Yeah, it’s cold in the D, but these KONI Special D Red Shocks are sure to warm you and your shorties right up. 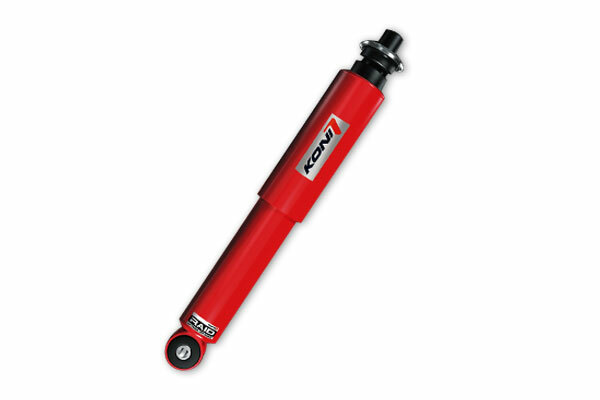 KONI STR.T Orange Shocks—Hieronymus Bosch has the Oranges triptych, REM has Orange Crush, and KONI suspension systems has Orange shocks, now with extra STR.T-ness. 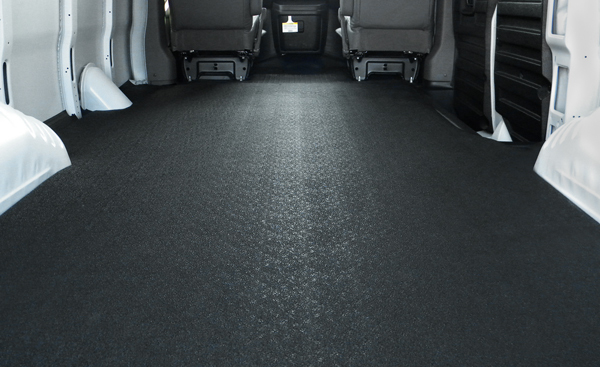 BedRug VanRug Cargo Mat—Because lying down your area rug with crème-colored fringe definitely doesn’t make your van look chic, carpet your workhorse with one of these durable cargo & trunk liners from BedRug. 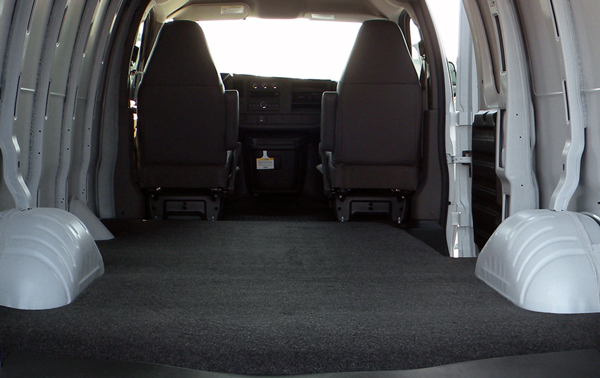 BedRug VanTred Cargo Liner—Sick and tired of your stuff slippin’ and slidin’ around your van’s cargo area? You could either give up your dreams of becoming an internet sensation by posting your homemade hooning videos, or you could turn to BedRug and score one of their custom-sized all-weather cargo liners. 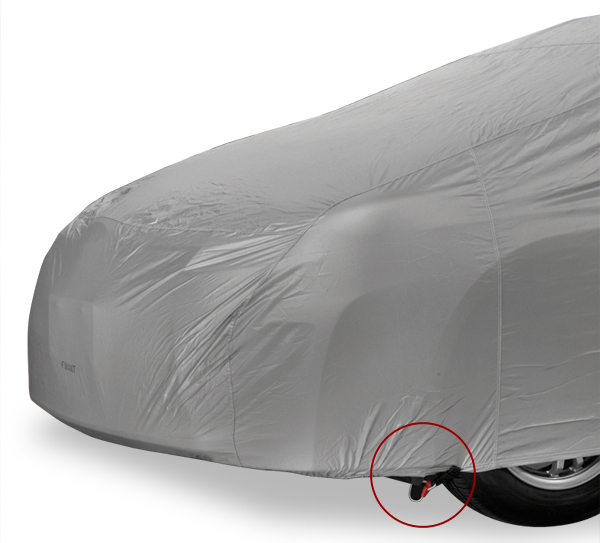 Covercraft Gust Guard—In case of a hurricane, batten down your home, fill your bathtub with water and secure all car covers with this handy car cover accessory from Covercraft. 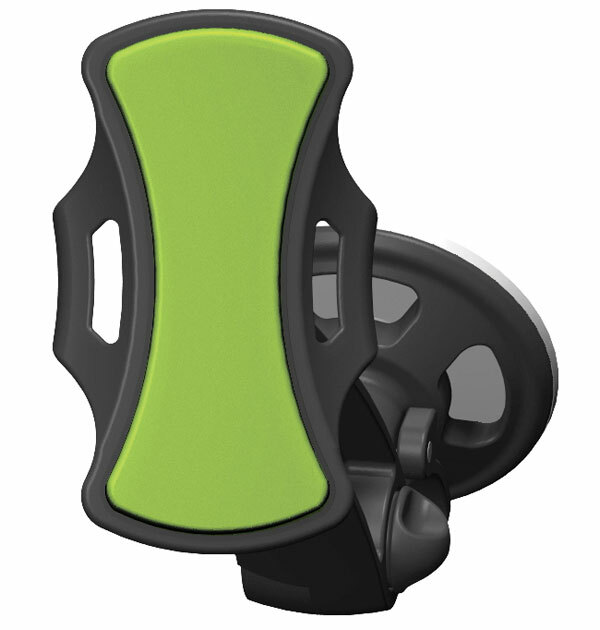 College Helmet Hitch Covers by Pilot—It’s a twofold hitch cover: protection for your head and your hitch. 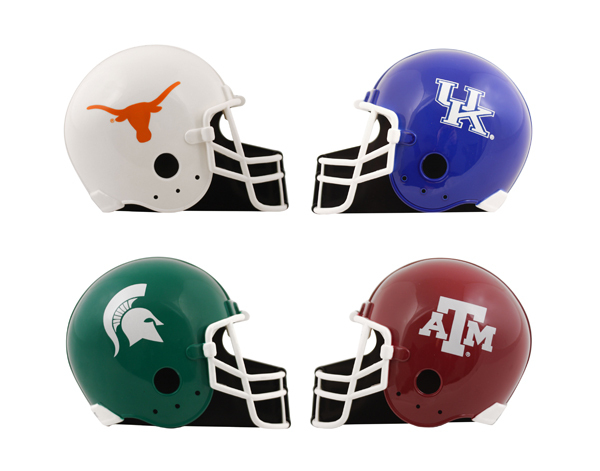 College Logo Hitch Covers by Pilot—Because some cities actually have college teams worth cheering for, Pilot developed a bruiser line of covers for trailer hitches with officially licensed collegiate logos. 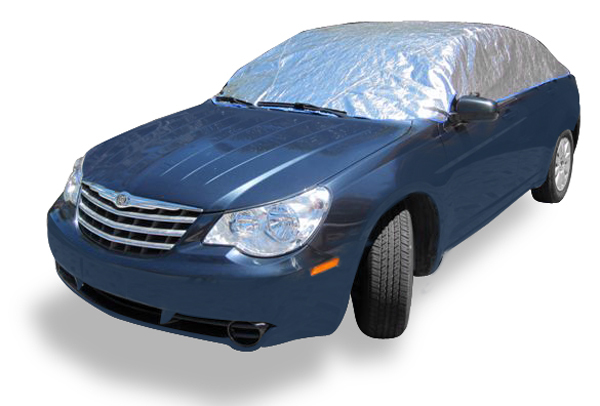 Cool Cap Heat Reflective Car Cover—Finally, a way to block those invasive mind-control transmissions from the government and/or the aliens. Plus, these car sun shades from Cool Cap drop your interior temperatures by up to 100 degrees. 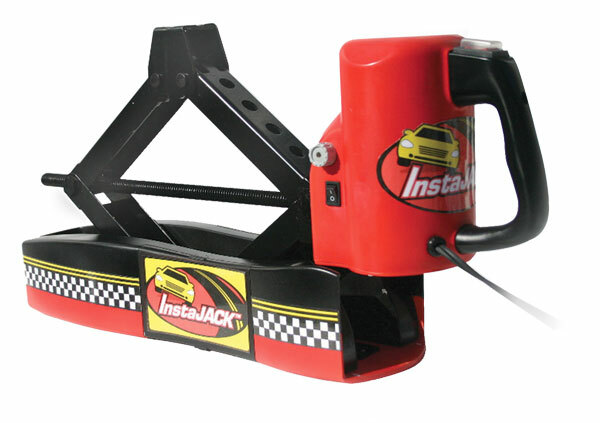 InstaJack 12V Automatic Car Jack—Getting a flat tire might be more enjoyable if you had Elvis Costello standing behind you playing Pump it Up. But, that cat’s busy. 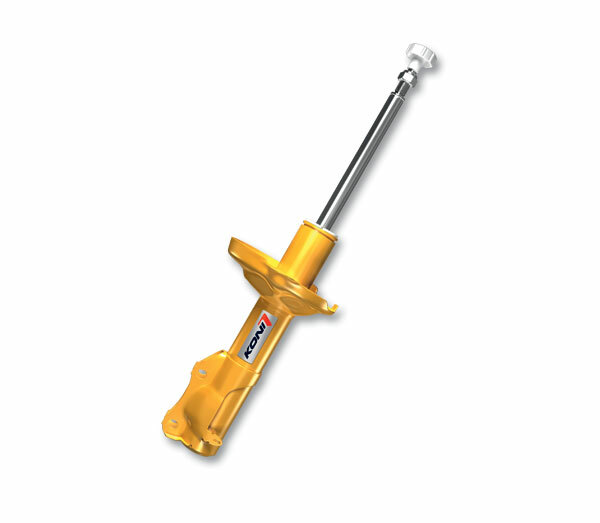 So, hum that track and use one of these ingenious tire-changing tools from InstaJack. 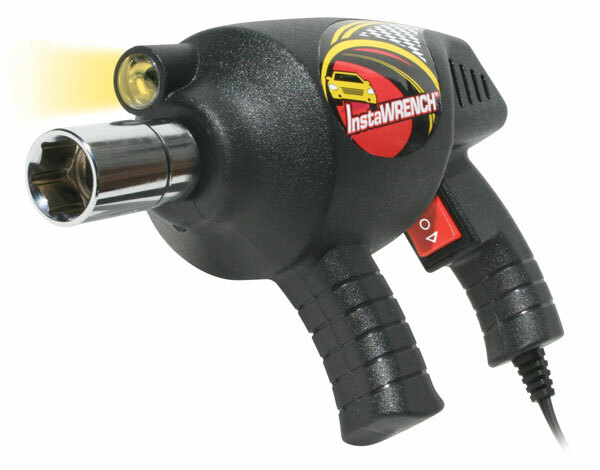 InstaWrench 12V Automatic Impact Wrench—Today’s world is all about instant gratification. 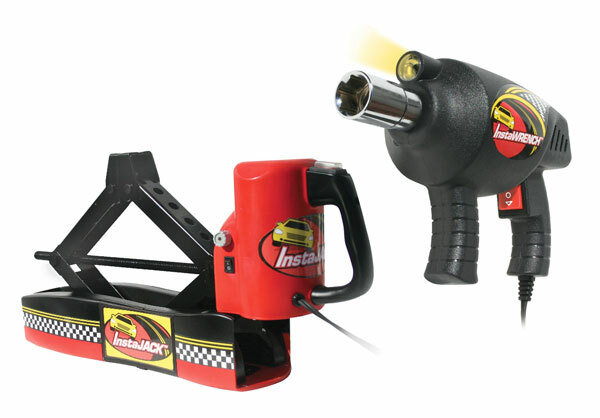 Scratch your “I want it now” itch with this 12V impact wrench from InstaJack that’s sure to pop stubborn lug nuts off lickety-split. InstaJack and InstaWrench Combo Kit—It Takes Two, Two is Better Than One, One is the Loneliest Number—you know the songs. 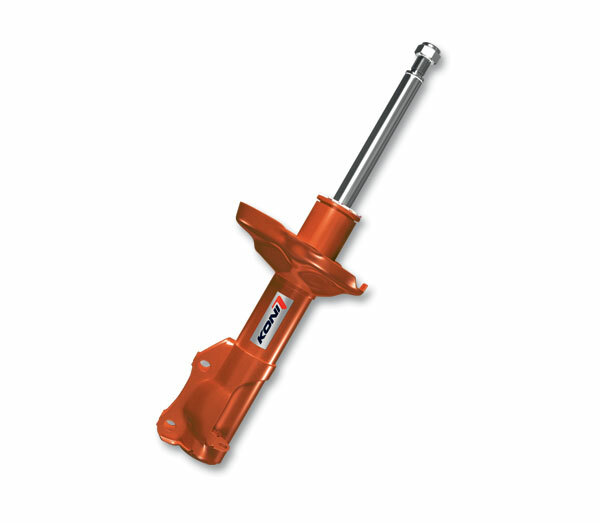 Now, put their message to good use and get both the InstaJack and InstaWrench together. 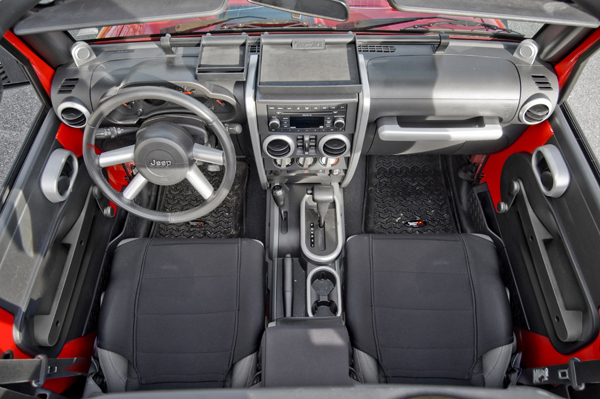 Rugged Ridge Interior Trim & Dash Kits—Because some Jeeps like to feel strong, rugged and pretty all at the same time, dress your dune surfer with one of these deluxe dash kits from Rugged Ridge. They come custom configured with all the pieces you need to transform your barren cockpit into a harem on wheels. Rugged Ridge Off Road Fender Flares—Just because these off-road fender flares from Rugged Ridge are specially made for trail rats doesn’t mean you need to start taking fire roads and bike trails to Grandma’s house…but, we won’t judge you for it. Rugged Ridge Flat Style Fender Flares—In the past, the word “flat” has had negative connotations—flat soda, flat hair, flat tires. 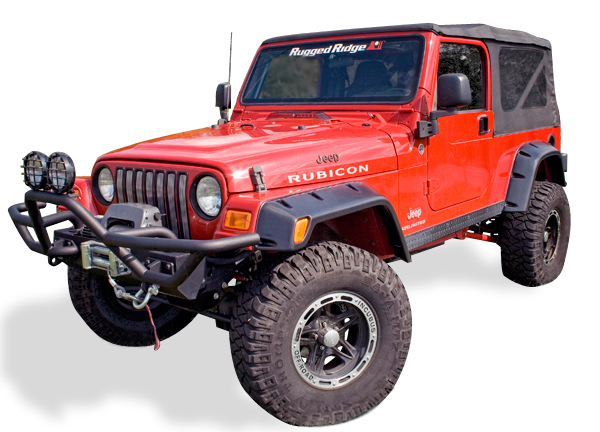 Rugged Ridge is turning “flat” around, though, with these pancake-esque fender flares. 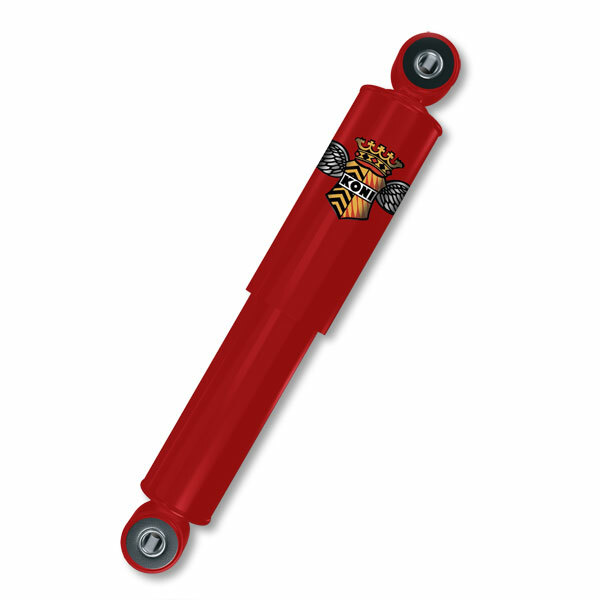 RBP RX-2 Side Steps—You don’t have to boogie down in a honky-tonk to enjoy these RX-2 Steps from RBP. 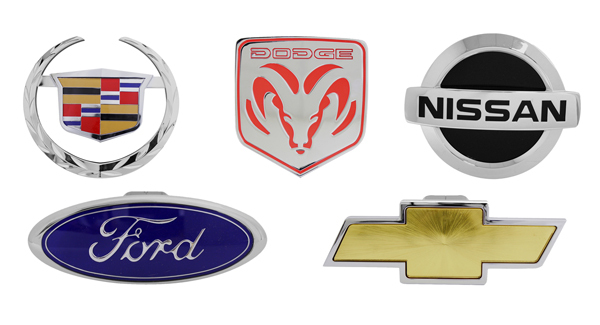 You just need a boss belt buckle, a steely stare and the will to upgrade with wheel-to-wheel nerf bars.